Hoodi Village, KR Puram, Hobli, Bengaluru - 523001, Karnataka, India. Vaishno Builders is a constructions company founded based on the values of integrity,honesty,attention to detail,fairness and safety.We are specializes in providing qualitative and quantitative solutions for the real Estate industry. We at Vaishno Builders recognize and appreciate the desire for individuality while maintaining affordability.Vaishno Builders has built their reputation on delivering a quality product on-time and at a reasonable price. 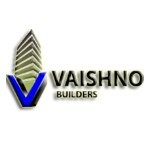 Throughout our history, Vaishno BuildersS has proudly served thousands of families with our dedication to quality craftsmanship and customer satisfaction.Whether you are investing in your first new home,villa,small or big apartment or office space you can count on Vaishno Builders to deliver a superior product where you can be happy for many years to come.